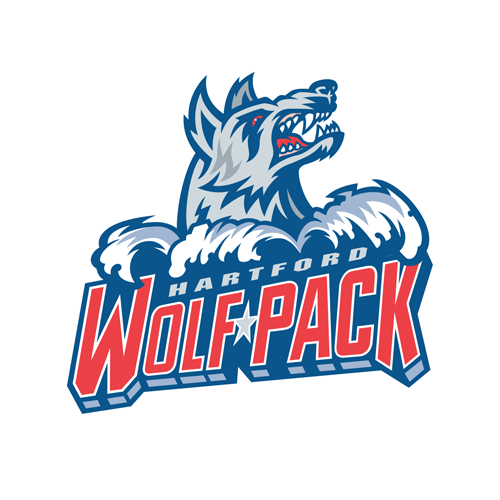 The Wolf Pack jumped out to a 2-0 first-period lead against the Bridgeport Sound Tigers Tuesday night at the XL Center, but the visitors recovered for a 3-2 shootout win. 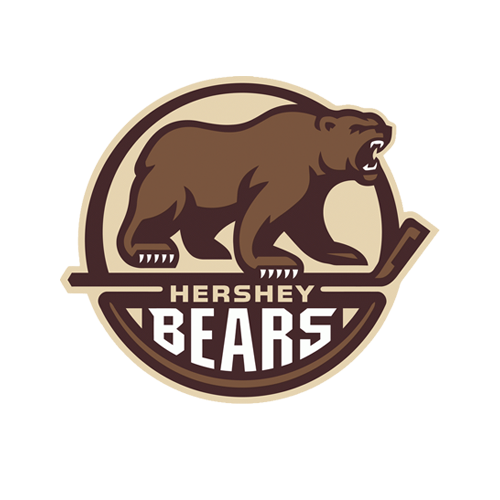 Chris Bourque had the only goal of the shootout, cutting toward the middle from the right side and snapping a shot past Wolf Pack goaltender Marek Mazanec’s catching glove. Sound Tiger netminder Christopher Gibson denied all three Hartford shooters, Ryan Gropp, Peter Holland and Lias Andersson. All of the scoring came in the first 11:21 of the game, with the Wolf Pack jumping out to a quick 2-0 lead in the first 6:23 of the first period, only to see Bridgeport reply with a pair of goals of their own in a span of just 1:24. Steven Fogarty opened the scoring just 1:13 in, on the rebound of a Vinni Lettieri shot. Gropp moved the puck into the Sound Tiger zone and sent it to Lettieri on the right side. His blast went off of the catching glove of Gibson and up in the air, and the rebound came to Fogarty in the slot. His quick shot cleanly beat Gibson. Gropp then made it 2-0 at 6:23, with his third goal in 35 games on the year, an unassisted effort. He picked off a Kieffer Bellows pass near the blue line and moved to the slot from the left-wing side, before slipping a backhander through Gibson’s pads. The Sound Tigers cut the lead in half at 9:57, as Ryan Lindgren lost the puck in center ice and John Stevens carried down the right side in the Hartford zone, before firing a shot at the pads of Wolf Pack starting netminder Dustin Tokarski. The puck squeaked through his legs, and Connor Jones jammed it into the net from behind Tokarski. Jeff Kubiak tied the score at 11:21, off of a 2-on-1 with Bourque. Bourque passed from the left side to Kubiak in the middle, and his shot got by Tokarski’s catching glove. 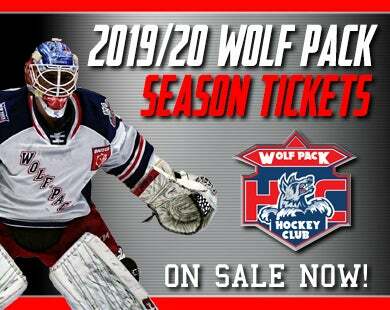 That prompted the Wolf Pack to make a change in goal, with Mazanec coming in to replace Tokarski, who made four saves. Mazanec blanked the Sound Tigers the rest of the way through regulation and overtime, stopping all 25 shots he faced, but Gibson was just as strong, finishing with 25 saves. 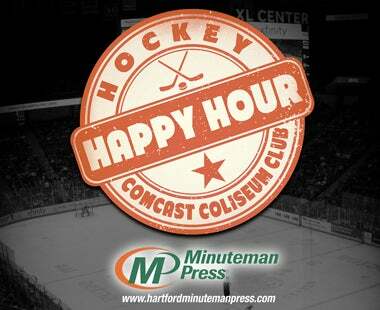 The Wolf Pack are back at the XL Center this Friday night, February 8, hosting the Syracuse Crunch in a 7:15 PM game. As at all Friday-night Wolf Pack home games, fans can enjoy $1 hot dogs, and $2 beers and fountain sodas, through the start of the second period, presented by Nomads Adventure Quest. 1st Period-1, Hartford, Fogarty 11 (Lettieri, Gropp), 1:13. 2, Hartford, Gropp 4 6:23. 3, Bridgeport, Jones 4 (Stevens, Rathgeb), 9:57. 4, Bridgeport, Kubiak 4 (C. Bourque, Koivula), 11:21. Penalties-Aho Bri (slashing), 13:17; Butler Hfd (hooking), 16:44. 2nd Period- No Scoring. Penalties-Rathgeb Bri (tripping), 11:24. Shootout - Bridgeport 1 (St. Denis NG, Bourque G), Hartford 0 (Gropp NG, Holland NG, Andersson NG). Shots on Goal-Bridgeport 9-9-11-2-1-32. Hartford 8-10-7-2-0-27. 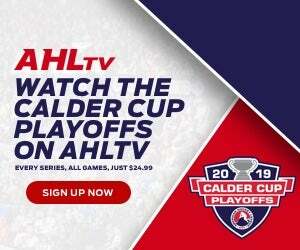 Power Play Opportunities-Bridgeport 0 / 1; Hartford 0 / 2. Goalies-Bridgeport, Gibson 12-9-4 (27 shots-25 saves). Hartford, Tokarski 10-6-2 (6 shots-4 saves); Mazanec 7-7-4 (25 shots-25 saves). Referees-Jeremy Tufts (78), Terry Koharski (10). Linesmen-Jesse Marquis (86), Robert St. Lawrence (10).